The Research and Projects track is for emerging academic research as well as ongoing projects and programmes in the field of VPL. Following a Call for Papers, we are pleased to announce the successful abstracts, which complement the policy tracks and further widen our discussions on validation of prior learning. Digital open badges are gaining popularity as a means of identification and recognition of competences acquired differently. Meanwhile new ways to motivate, scaffold and assess competence-based learning processes in professional development are emerging. This presentation offers insights and examples of applying the competence-based approach, digital open badges and gamification in professional development to meet individual needs for working life. In addition, it represents the current state of emerging national ecosystems related to open badges in Finland. It is essential that the standards and guidelines are developed on a national and European level; however, to serve the students, trainers need to learn how to apply the competence-based approach in practice and further develop their digital pedagogical competences and practical applications. This presentation offers a brief summary of the first European doctoral dissertation to address digital open badges and digital open badge-driven learning. The thesis represents a novel application of descriptive statistical methodology to the context of educational research. The primary results culminate in defining digital open badge-driven learning process grounded on the badge constellation of competences. The entity of badge-driven learning includes learning materials, badge criteria, instructional badging, scaffolding and peer support. In this period of transition from a knowledge society to a learning society, the concept of learning becomes more comprehensive, extrapolating beyond the restricted field of education. Consequently, lifelong learning is a necessity, aiming at the full development of the individual’s learning potential. The validation of prior learning is, therefore, fundamental for a greater visibility and valuation of this human capital. 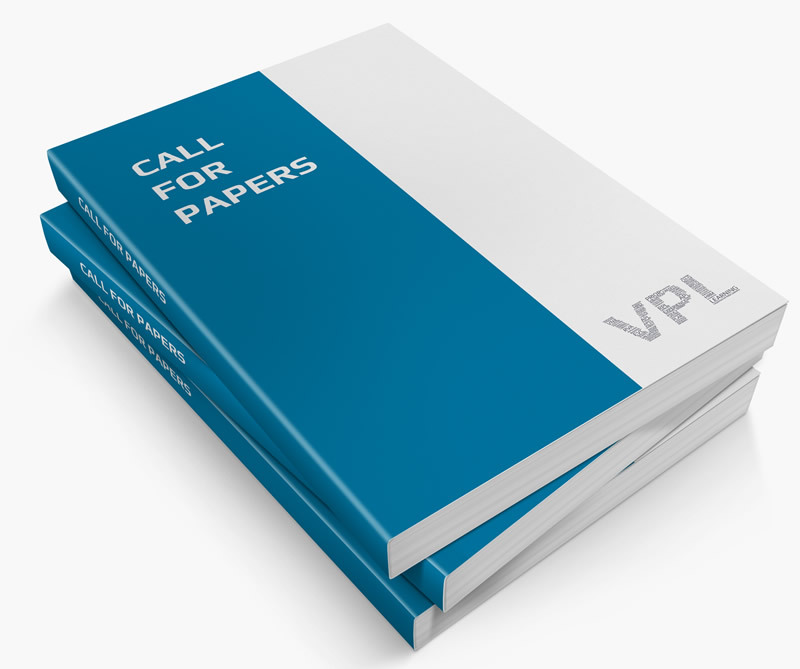 This academic research focus on the following problem: To what extent can a VPL approach, supported by principles of educational sciences, help to improve the quality of Portuguese Small and Medium Enterprises? Hence, this project has been divided into two distinct, yet complementary, moments of data collection and analysis: Study I and Study II. Study I consisted in analysing official European and Portuguese documentary sources about on-the-job training and in conducting exploratory interviews to key informants. We found that the training processes presented valued learning in the workplace. However, the definition of a training assessment methodology focused on the development of individual competences and the combination of non-formal and informal learning seemed to be lacking. Based on these findings we are now working on the definition of a dynamic intervention strategy – Study II – a training model based on VPL. The Ministry of Education in Norway agree about validation of prior learning as basis for getting admission and exemption from parts of higher education. The reason for this agreement is based on both empowerment and beneficialty for the society. Universities are, according National regulations, supposed to give credit for competence, developed through formal, non-formal and informal activities, but rutines shows that this does not happen. The purpose of this research is to contribute into a discussion about validation of prior learning and to give examples of the complex validation process. Methodology: Methods used are semi structured interviews and document analyses. Plans and documents concerning national regulations for vocational teacher educations were analysed to find the equalities between the formal competence needed according the documents and the students prior learning, as basis for VPL. The students who got most exemptions from the formal education achieved the best marks. We found that the validation process worked as intended, and that some of the students probably could have got even more exemptions. The academic institutions dealing with VET also need the skilled people for gaining sufficient perspectives in both research and educations. A high percentage of Finnish higher education students work in job positions matching their education already during their studies. However, combination of work and studies is not always unproblematic. How could organisations and companies make direct use of their experts‘ HE studies in related fields? How could HEI utilize students’ competence as part of curriculum studies and advance their graduation? How does digitalization enhance ubiquitous learning? Toteemi (www.amktoteemi.fi/en) researches and develops practical models to combine work and higher education studies. The two-year project has been initiated in 2017, with dimensions of enhancement of digital learning as well as the demanding combination of work and studies, from the viewpoint of all counterparts. There are sixteen Universities of Applied Sciences involved in the project, with the research dimension carried out by two research universities and the project coordinator, Haaga-Helia UAS. A variety of qualitative and quantitative research methods have been applied, to unfold an up-to-date description and interpretation on lifelong learning and work in Finland. Findings of the project are partly already available, and at the VPL Biennale, these can be presented with the most recent developments. We will present project results from an ERASMUS+ project that evaluates the advancement and effectiveness of VPL policies and practice in Denmark, Germany, Poland and Turkey. Partners, using case study method, assessed how companies accept VPL and whether VPL leads to diverse individual results in their work. A study was conducted in each of the four countries in which five companies of various sizes took part: small medium and large enterprises. They represented various industries, jointly established for the needs of the study, that is, the cleaning and maintenance industries, construction, production and care. After visiting and interviewing representatives of 20 entrepreneurs in four counties, partners developed a manual for companies, employment agencies and labour market institutions containing recommendations on recruitment and awareness-raising procedures among employers and other participants in the labour market. We will present a set of issues in the area of human resources management and human resources development faced by entrepreneurs in partner countries of the project, self-assessment for entrepreneurs as far as these challenges are concerned and how much they can benefit from solutions offered by validation and a guide to VPL solutions in domestic (for Denmark, Germany, Poland and Turkey) and European. A dedicated information website https://www.myexperience.ie/ has been created to provide relevant information on the Recognition of Prior Learning (RPL), through short videos and text. The website defines the different mechanism of RPL assessment, provides details on the process and links to the RPL ePortfolio assessment tool which was created in Moodle as this provides for the assessment of learning http://www.rplportfolio.ie/ As a paperless tool, it provides for electronic submission of evidence and allows the learner to submit their portfolio in a sequence of stages, resulting in the creation of a professional RPL portfolio. The ePortfolio of evidence includes: certified learning; experiential learning; references; work experience outputs and motivational statements. The RPL ePortfolio tool has been piloted in GMIT and IT Sligo with over 200 applicants to date. In addition, an accredited RPL module for HE staff has been developed. This module provides participants with a deep understanding of the policies and procedures associated with RPL and addresses the complexities associated with the management of RPL. This module, which is practically based and interactive, is aimed at developing mentors and assessors with the knowledge and competencies to enable them to become effective assessors of RPL candidates. The lifestyle and, indeed workstyle, of pilots has long proved an impediment to the attainment of third level qualifications while maintaining active and full participation in the workforce. Equally, the significant investment in pilot training has been poorly reflected in mechanisms of advanced entry to college and university programmes. This poses a quandary for those of us in Higher Education which requires quick resolution for this critical element of the airline industry. Cork Institute of Technology has developed a programme which, by design, reflects the training foundations and career trajectories of qualified pilots in a more holistic way. Through Recognition of Prior Learning (RPL) the programme recognises the extensive learning involved in becoming a pilot at commercial level. The underpinning technical expertise, the competences developed and tested along the way, and the attendant awareness of the industry are critical pieces of learning comparable to that developed in many degrees. The RPL process accepts the value of this learning and through a rigorous and quality-assured means equates this to years 1 and 2 of a 4-year Bachelor of Arts (Honours) in International Business with Aviation Studies. All of our services and programs respect academic regulations of a traditional research-intensive university. The VPL-FEP ecosystem is perfectly suited to serve non-traditional students in a World where life-long-learning is an essential feature of most career trajectories. We will provide an overview of this VPL-FEP ecosystem, discuss its strengths and weaknesses and how it is helping us redefine university-wide academic strategies. LEVER UP aims at Valuing informal learning and transversal competences experienced in contexts such as volunteering to increase employability, social responsibility and mobility. LEVER and the still in progress LEVER UP implemented a complete system made of firstly a Competence Model, referenced to EQF, the 8 EU Key Comp, and in due course to the EU mobility tools; secondly, a internationally tested VNFIL evidence-based process; lastly, a rich toolkit at support of candidates, guides and assessors. The multilanguage solution (EN, NL, ES, PL, FR, IT) provides e-L and blended courses for tutors and assessors. OpenBadges are the credentials for the successful achievement in staff training and competence validation. Relations to ECVET mechanisms are also under evaluation. The pilots are now testing the system with VET, Job market and Volunteering. In Italy it is directly working with the Lombardy Region and the national contacts for NQF and EUROPASS to keep it more and more aligned and referenced, also in consideration of the upcoming ESCO. LEVER UP raises great interest ad appreciation from all the external actors involved: it is considered an effective and operative lifelong learning solution to give visibility and potentially transfer the individual transversal competences from a context to another. This presentation propose a short international journey through the different approaches to validation and recognition of non-formal and informal learning outcomes. It goes into proposing definitions for the key concepts (e.g. assessment, validation, recognition), reminds the participants of the multiplicity of approaches and names (e.g. AP(E)L, RPL, VAE, RNFILO, PLAR), and therefore states that validation and recognition of non-formal and informal learning outcomes is more philosophy than a fixed once and for all carved-in-stone method. The Innoval project is an EU-funded project on innovative assessment methods for validation. It started in 2016 and finished in September 2018. It gathered six partner organisations operating in diverse sectors (higher education, research, vocational education, adult education, etc.) from 5 EU countries (France, Spain, Portugal, Greece, Belgium) and an associate partner (Bertelsmann Stiftung) to work towards the collection and promotion of valid and reliable assessment methods that would allow all learners to have a chance at validation. After a research phase that aimed to identify the barriers and enablers of disadvantaged groups (long-term unemployed, migrants, low-skilled adults and those who had an adverse experience with formal-based assessments) in taking part in the validation process, the partners collected over 50 case studies of innovative and inclusive assessment methods. These methods distinguish themselves from standard or traditional methods in the sense that they very often combine summative and formative approaches, using new tools (e.g. game-based assessments or role-play) and take into account the specific needs of learners, for instance, the emotional dimension. To what extent can standardised procedures be used for validation? Standardised procedures for the validation and recognition of prior learning for adults who wish to obtain vocational qualifications. This project in the Swiss canton of Zurich investigates, whether and to what extent standardised procedures can be used to validate relevant prior learning outcomes that are frequently achieved in formal and non-formal learning. A key advantage of standardised validation procedures over individual validation and recognition of prior learning is that adults can be informed of the prior learning outcomes that are taken into account towards acquisition of a desired vocational qualification quickly and reliably already during the information and advising phase. In this project, a standardised validation procedure is established and tested for 12 occupations in high demand by adults. The method consists in a comparison between achieved learning outcomes as described in the corresponding training plan and the competence profile for the desired vocational qualification. The result will be a validation table for each occupation, showing which competencies are recommended for recognition and validation and which one are not. Limitations of the applied procedure are discussed. While standardised recognition and validation of prior formal qualifications seems feasible, obstacles become visible especially with regard to non-formal continuous education and training. The Association “Officina delle Competenze” arises from the will of some people who have collaborated in various ways to the construction of the “National System of Competences Certification” at the beginning of the current decade. The Association’s goal is to promote the planned “National System of Competences Certification” wished and expected by the legislator since the first years of the 2000 and that has found a structured definition in the Law 92/2012 and in the successive Legislative Decree 13/2013. Officina organised the first Italian VPL Biennal held in Rome the 23th of November 2018 (http://www.officinacompetenze.org/2018/11/23/il-live-streaming-della-biennale-delle-competenze/). The practice we would like to present is the example of Officina body as a new and original way to promote VPL and the developments of the Italian certification system. Specifically we’d present the so-called “fiches of work practices”. They represent a compelling tool for the description of working cases in terms of products/services and operating contexts that a certain work-activity should reach (hence, the working performance) and that are used within the VPL services. The fiches provide specific evaluation tasks and test items with a full coverage of labour market sectors and they are embedded in the Atlas of work and qualifications (https://atlantelavoro.inapp.org/). Validation procedures increase the employability skills of participants and can make a significant contribution to occupational and personal development, experts in Germany agree. However, implementation of validation procedures is still at an initial phase. Determining design requirements for validation methods and instruments in Germany and modeling framework conditions for the implementation of validation procedures therefore were the goals of a research project by the Federal Institute for vocational Training (BIBB). It examined how relevant actors rate the chances of realization, benefit expectations and risks of different scenarios. Six scenarios were modeled in a multi-stage process that describe how competences acquired outside formal education could be taken into account in Germany in 2030. Three scenarios describe validation procedures leading to recognised qualifications, and three further scenarios deal with the identification and documentation of competences. In a two-stage Delphi survey experts evaluated the scenarios. The presentation will give a short overview on the scenarios and focus on experts views on aims, and certification of validation. On 19.11.2018 I obtained the university degree “DURIF” (Diplôme d’Université Responsable en Ingénierie de Formation) at the Sorbonne in Paris by validation. It is a French Bachelor’s level qualification in the field of education management. The prerequisites for this are: admission by the university, the preparation of a dossier and its “defence” in front of a jury. The entire process, from the initial consultation to the jury, took about 1 ½ years. I was the first foreigner at the Sorbonne to undergo a VAE (Validation des Acquis de l’Expérience). In France, almost every qualification must be accessible in two ways: regularly through training and alternatively through the recognition of prior learning. A combination of both models is possible and the rule and often the only realistic way for people 35+ to obtain a degree. Competence recognition for university degrees is not yet possible in Austria, Germany and most other European countries. By achieving my degree in France on the basis of validation, I wanted to get to know and how this approach works. In my presentation I will give an overview of the framework of validation in France and describe steps and methods used during my way through university validation. Background: During IV reform process and transformation, UNAH has been developed a series of initiatives that can contribute to sustainable human development in the country, in a process of intra and inter maturity. During this process it has highlighted the importance of design and implementation of components for non-formal and informal learning in the education system and recognition of learning acquired throughout lifespan. Purpose: Implementation of the Observatory for the validation of professional and labor competencies, through the establishment of a common framework of professional families and occupational positions, as well as a training program and a certification process of the acquired competences in both formal and informal ways. Methodology: The strategy to achieve the purpose described involves the training of its employees in priority sectors and the university, who in turn be trainers. It will provide strategies and tools to validate and customize learning throughout life, assuring speed and relevance in the modality and / or remotely. The evaluation of the training process will consist of a presentation of its action plan to be advisors and evaluators of the prior learning, the overcoming of an evaluation on the practical cases and the obtaining of a certificate. Key success factors in the implementation of RPL pilots or systems that aim for labour market recognition include a trusted and transparent process with involvement of representatives of employers and workers in the design and oversight of the system, and the tying of additional benefits such as complementary training, access to labour markets, occupational licenses or financing. The ILO published a guide for RPL (Recognition of Prior Learning: Key success factors and the building blocks of an effective system), a learning package on RPL and will soon publish a Policy brief on the subject. The purpose of this paper is to share experiences and lessons learnt in implementing Recognition of Prior Learning (RPL) in Tanzania. Recognition of Prior Learning (RPL) was introduced in the Vocational Education and Training system in 2010. The main purpose was to recognise the skills acquired outside the formal system. The main target is the socially and economically marginalized groups, who normally fail to join the formal VET system and as a result they resort to informal system of acquiring skills. RPL started as a pilot project implemented in collaboration with ILO from April to December 2012. This project explored the following aspects: first the issue of skills development of informal apprentices and second, how RPL could facilitate informal skills assessment, certification and learning progression. After successful implementation of the pilot, the programme was rolled out countrywide in 2016. The major lessons learnt include the following: (a) there are so many people in both the formal and informal sectors who need their skills to be recognised; (c) RPL provides an opportunity for career progression; and (c provides an opportunity for long life learning. The main challenge in adoption and implementation of RPL, apart from limited financial and human resources, there is a confusion around its purpose and scepticism around its value. Through the project RPL guideline was developed. It is now fully implemented in Tanzania and the Government through the Ministry of labour allocates funds for its implementation. VISKA is an Erasmus + policy experimentation project, running from 2017 to 2020. By making knowledge, skills and competences of adults more visible through validation of prior learning, VISKA seeks to address the European policy priority of diminishing skills mismatch, fostering employability, economic growth and job creation, and social inclusion. In particular, VISKA addresses the need to make more visible the skills of migrants, asylum seekers and refugees, and adults with little formal education, in order to shorten their pathway into employment, targeted education and training offers and active engagement in society. These target groups are at a disadvantage in European societies, and would benefit from improved access to validation services and from more holistic validation arrangements. A further objective is to generate knowledge on the challenges of validation for vulnerable groups, and to make the outcomes of the trialling and policy experiments visible to policy makers at local, national and European levels.